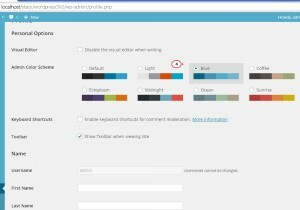 The following tutorial will show you how to edit admin panel view in WordPress. WordPress admin panel is also called Dashboard. Dashboard Home page is the first page you see after logging into admin panel. The large area in the middle of the screen is the work area. Below you can see the Blocks that display the latest WordPress.org news, last activities on the site, general WordPress info like engine version you’re using, etc. Click Screen Options at the top to choose what blocks to display or to hide. User can change blocks order and positions, drag blocks from one column to another. Screen Options tab is available on Posts/Pages/Menus/Plugins pages too. Open any page in WordPress admin panel and click the Screen Options tab at the top of the page to see what options you can use to manage the page content. 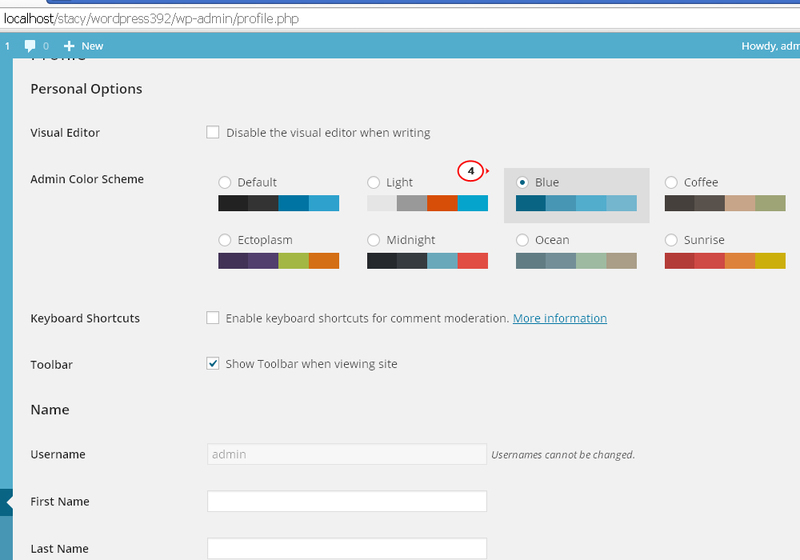 The Color Scheme of WordPress admin panel can be updated as well. Navigate to Users > Your Profile tab to see available color schemes. Check Color Scheme you would like to use. Click the Update Profile button at the bottom to save a new scheme.